Special packaging (shipping tubes) available. • FULL Color, Jumbo Vertical Year-at-a-Glance Calendar with write-on/wipe-off surface can be rolled for distribution. • Made from 10 mil plastic. • Write-on/wipe-off surface accepts ballpoint, dry erase and damp erase felt tip pens. • Handy memo and quick notes section adds additional utility benefits! • Special packaging and accessories are available on Kwik Quote™. 10 qty.= 5 lbs./ 50 qty = 24 lbs. 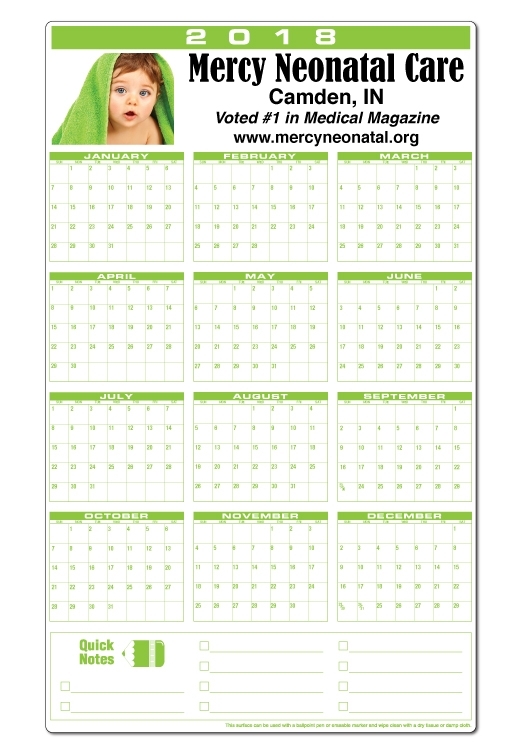 Priced each in FULL Digital Color on white plastic with standard calendar. Calendar Designs are standard. Split year or special designs, highlighted calendar dates, call for a Kwik-Quote.